"Social media marketing doesn't work," I often hear. "It doesn't work for you because you are not doing it right," is typically my response. 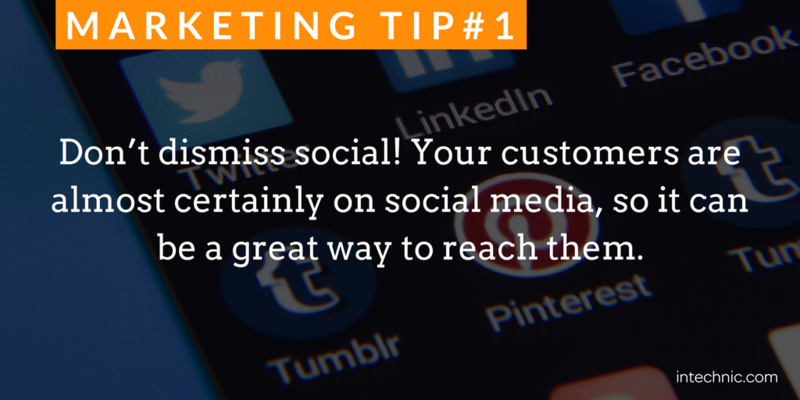 Most companies do not incorporate social media successfully into their marketing efforts. In fact, they are following the trend of others and quickly become discouraged by the lack of positive results. 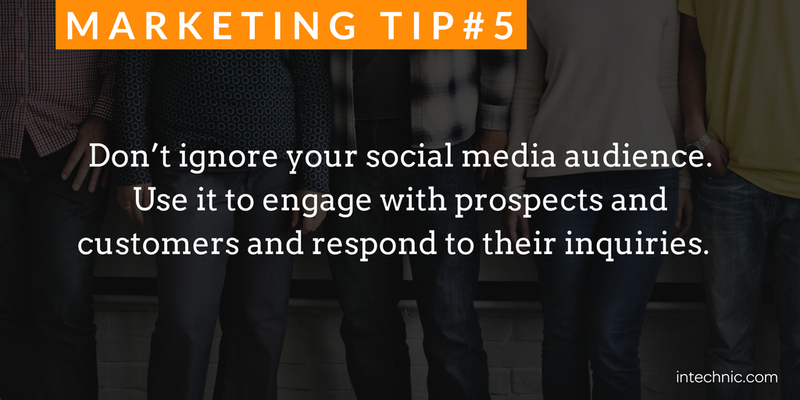 If you believe social media is not right for your demographic or your industry, you are wrong. It is a common misconception that social media is only for teenagers and the tech savvy. That is no longer the case. 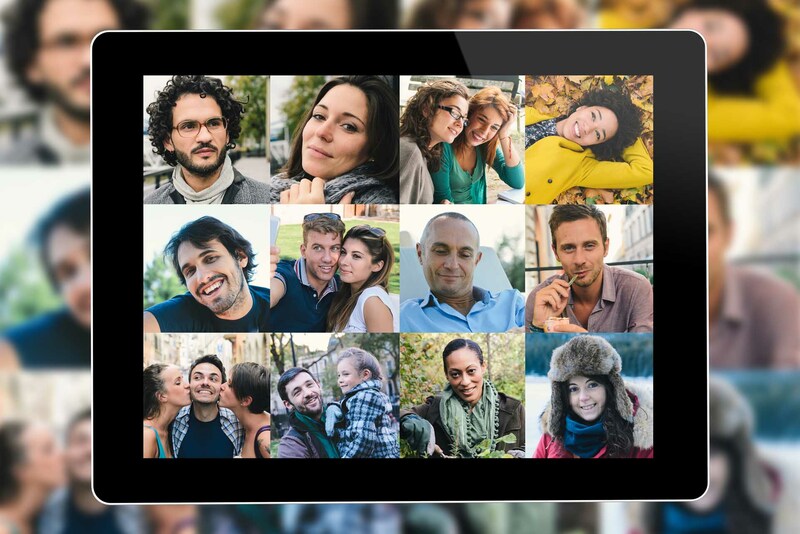 For example, one study has shown that the fastest growing demographic on Twitter is the 55-64-year age bracket and that the fastest growing demographic on Facebook is 45-54-year-olds. You will find other demographics are well-represented too. Social media has penetrated all layers of our society. If you manage to put together an effective social media strategy ahead of the competition, you will have an upper hand. Social Media Marketing can be a colossal waste of time without a proper plan of action. Many companies fall into this trap. They sporadically post things to their social media accounts, share some of their content here and there and try to attract followers or fans. That's not social media marketing; that's having no plan. 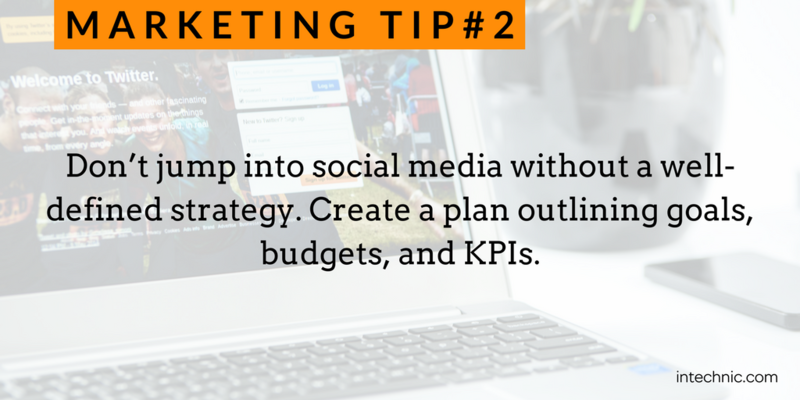 Social media marketing must be approached the same way you approach your planning for any marketing campaign. You should have specific goals, budgets and a concrete plan of action that outlines what you are trying to accomplish, how you will achieve your goal, how you will measure results, and what resources you will need to allocate. When measuring key performance indicators (KPIs) for your social media marketing, many marketers fall into the trap of vanity metrics. They measure the number of fans on Facebook or followers on Twitter, and if these numbers are growing, they are happy. Social media marketing is no different from any other marketing channel. You should be measuring the impact your social media efforts have on your business , not your total number of fans or followers. Addressing the audience in a way that's inconsistent with the traditions of the social network is ineffective and counter-productive. You probably wouldn't speak Spanish in Germany, yet many businesses make the mistake of speaking the wrong language on social media. Every social network has its own customs, language, audience and type of content. 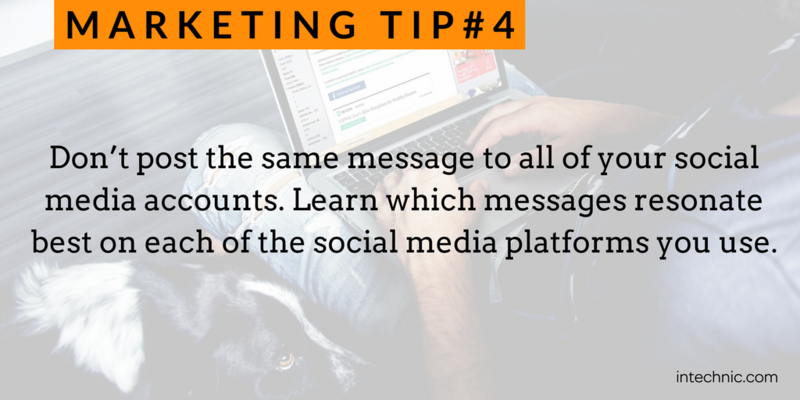 For your efforts to be effective, you need to account for differences between social networks. It is important to learn how people communicate on all of the social network you participate in. Your social media updates are useless if no one cares shares or responds them. 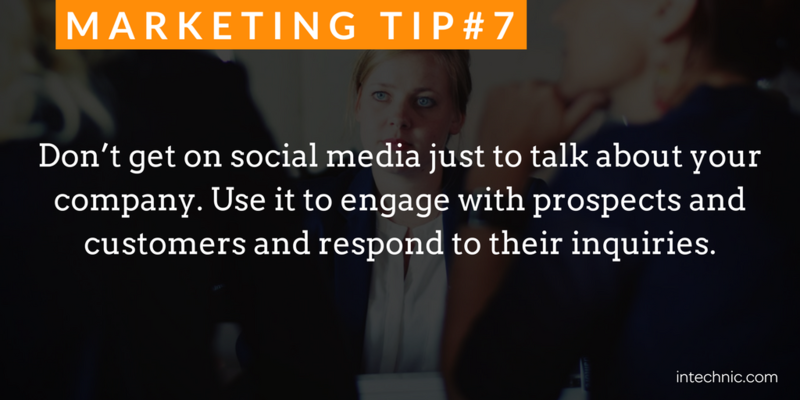 Your posts and content should be designed to elicit conversations with your audience. If you don't get these reactions, your overall strategy and the content should be revisited. When a person responds or comments, be sure to reply. 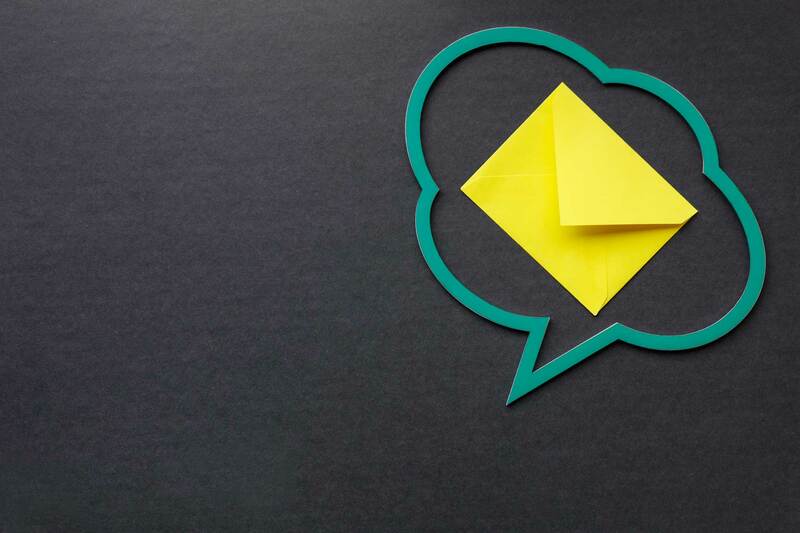 Every comment a customer posts, whether positive or negative, presents an opportunity to communicate with the customer directly. Be friendly and personable; after all, this is what social media is about. 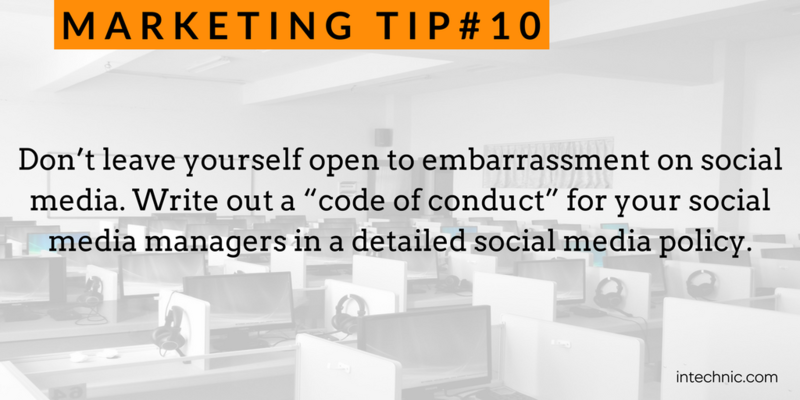 And don't limit your company's social interactions only through the marketing department. 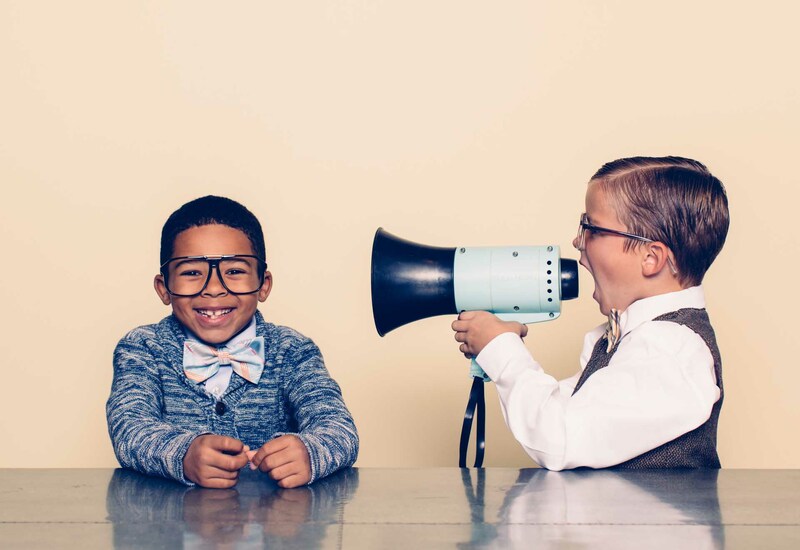 Involve other departments that interact with customers, such as sales, customer service, billing, and production, in your social media strategy to communicate with your customers. Having thousands of random followers who don't represent your ideal customers and have little to contribute will simply not produce desirable results. You want to attract and engage prospects, peers or professionals who share same views and interests and who will be instrumental in the success of your marketing efforts. 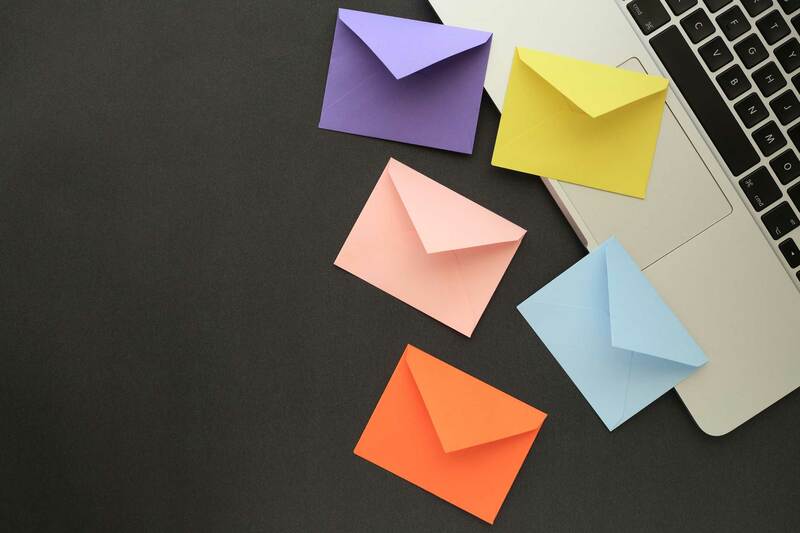 By building and expanding your network, you will gain better access to prospects and other professionals and will increase the exposure for your messages and your content. 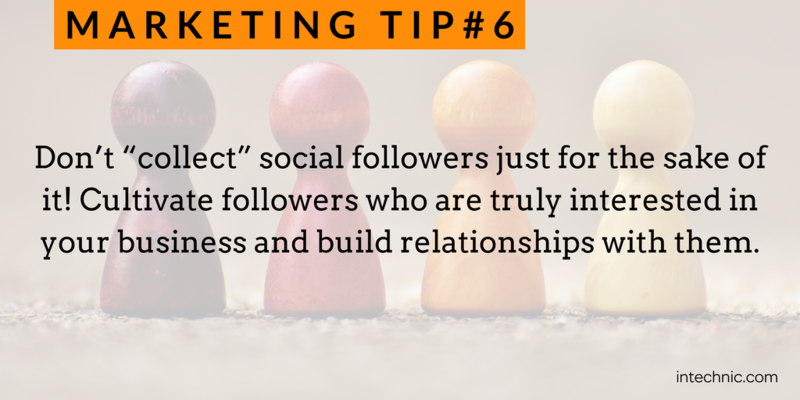 And make your interactions are meaningful! Networking is about adding value to a relationship. 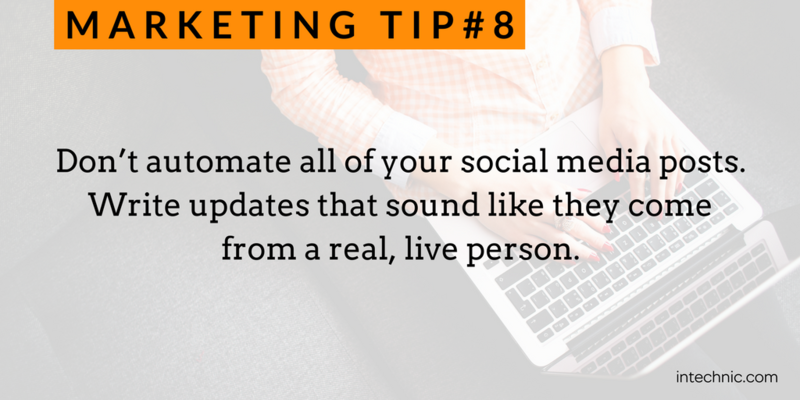 You should set aside the time to reach out and write personalized messages, engage in discussions, share and comment on someone else's content as opposed to just pushing yours down everyone's throat. Treat these relationships the same way as your in-person ones. By adding value to these relationships, others will be more likely to pay attention to what you have to say. How would you like hanging out with a person who only talks about himself? That gets old quickly, right? Well, that's the very mistake many companies make on social media. It's all about them—their news, their events, their products, their projects, etc. Here is the truth: nobody cares. To succeed in social media, you not only have to speak the language of the audience, but you have to tell them what they want to hear. The content that you post should be of high quality, of significant interest and be in line with the norms of the social network and your followers. Make it about them. Make it for them. One of the most common mistakes companies make is relying too much on automatic (canned) posting to their social media accounts. That's not what social media is all about. People use social media because they want to interact with others. If people can tell that your posts are automated, or if they feel the exchange is impersonal, they will distance themselves to your brand. In extreme cases, if you spam them with too much irrelevant automatic content, you will start losing them. 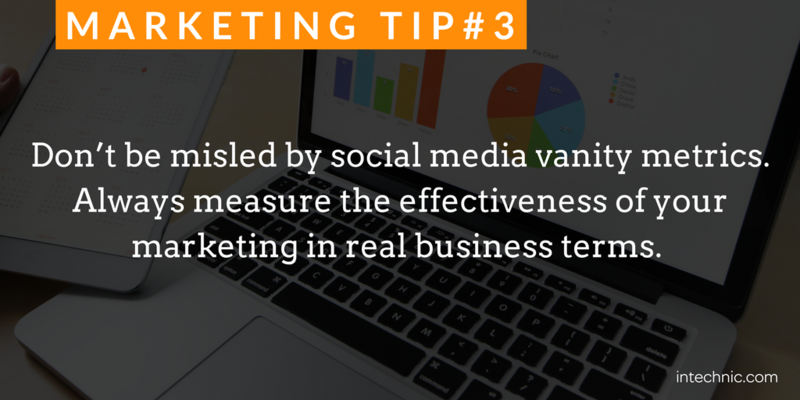 In my experience, one dedicated marketing professional can effectively manage no more than 2-4 social media accounts. 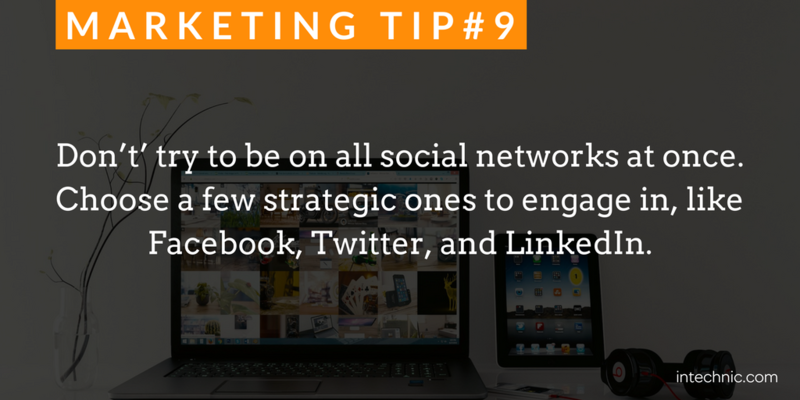 If your organization's social media strategy is in the hands of a single team member, you should focus your resources and energy on the "Big Three": Facebook, Twitter and LinkedIn. You then should further prioritize your efforts on the social network that produces the most results for your business. Not having a company-wide social media policy is clearly dangerous and can often result in unexpected public embarrassments. Regardless of who manages your social media accounts, you should adopt a policy outlining what is and is not acceptable. For most companies, content that is sexist, racist, religious, offensive, obscene, sexually suggestive, derogatory or discriminatory in any way is off limits. Make sure that all your employees know the policy and adhere to it. 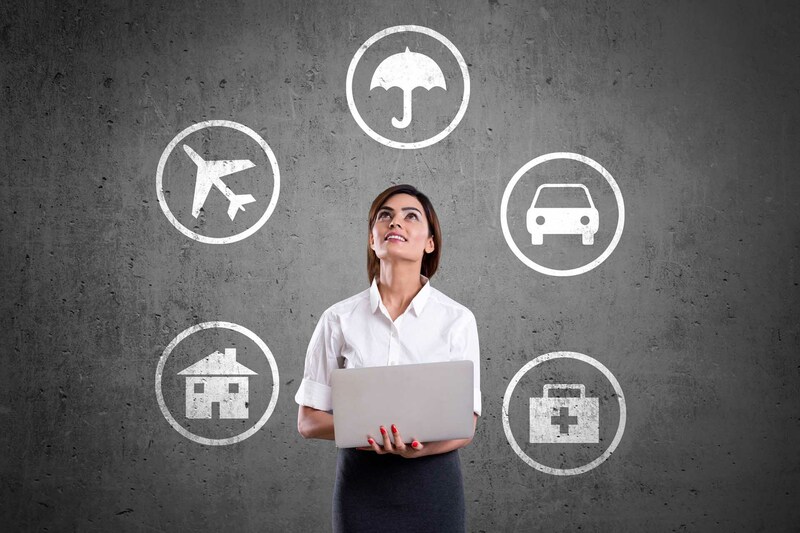 Be sure that the same policy covers the creation and management of "official" company accounts. Also, keep access to these accounts restricted and maintain a list of all accounts, usernames and passwords. Make sure that credentials are different for each account, and change passwords regularly, especially with employees who leave or change their roles. A single post by a disgruntled employee could be a PR nightmare for your organization.